Please read and save these instructions. Read carefully before attempting to assemble, install, operate or maintain the product described. property damage! Retain instructions for future reference. found in the wire feed compartment. missing items by calling (800) 746-5641.
to comply with this recommendation. 8. Hold area for 20 cubic ft. bottle. Campbell Hausfeld is known as supplier selling different goods like automotive. Our team collected 389 original manuals of this brand . 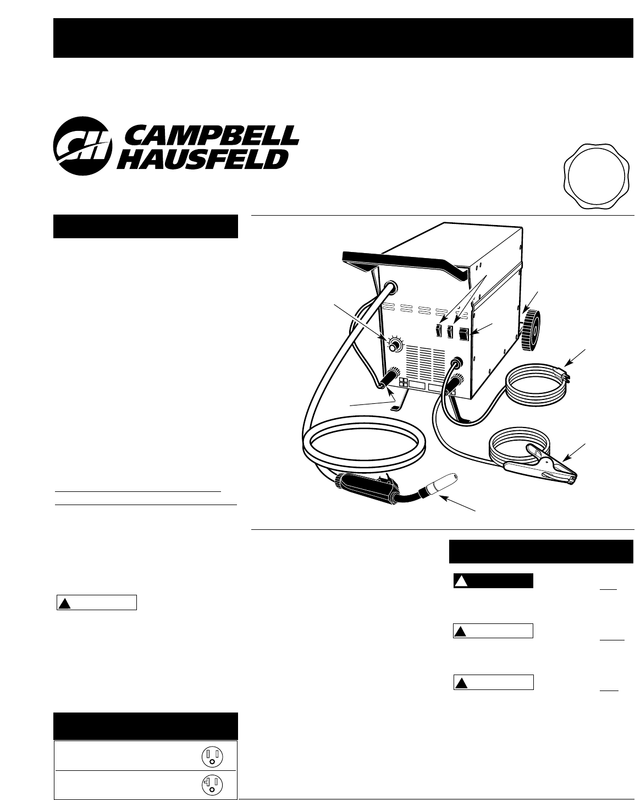 Now you're reading a user guide for Campbell Hausfeld Handheld Game System WG3020.